According to the Library Journal, Congress is debating whether to put a 10-year limit on the position of Librarian of Congress. It has been a life-position since 1802. According to the article, the Senate has already passed the bill unanimously – which has then sent it to the House to vote. Curious, what do people think about this? Supposedly, ALA is supportive of the change. This entry was posted in librarianship, libraries, Library of Congress and tagged James Billington, Librarian of Congress. American Library Association and several other groups such as the American Booksellers Association are hosting the 2013 edition of Banned Books Week – which this year goes from September 24-28. The Library of Congress’ Center for the Book is not a sponsor, but has endorsed the week-long promotion. I find it interesting this celebration, attention producing event, is the week after National Book Festival. – which is squarely hosted by the Library of Congress. It marks a blur between the abstract notion of being free to read, a general celebration of reading and print culture and the world of authorship. It works as a federally funded library event for the whole family on that Saturday and Sunday. At the same time, both events have investments by retail-based organizations. American Bookseller Association in the case of Banned Books Week and big companies like Barnes & Noble Booksellers at National Book Fest. As far as I know, the book selling tent is coordinated by Barnes & Noble most years. In no way am I criticizing B & N’s involvement in these events. It’s a great thing to be a large bookseller and to be able to promote literacy events on a national scale. But the book selling tent at National Book Fest is not a store per se – it’s a table full of books featuring the authors at the festival (and a few other sundries published or distributed solely by Barnes & Noble). It is my belief the National Book Festival, given its prominence on the mall, should be an antagonistic force drawing attention to authors who may not often get such a large platform to get noticed. If not authors, then smaller presses carrying high quality authors. I think about presses such as Talon Books, Dalkey Archive, New York Review Books and the fabulous Melville House. As it stands, the list of featured authors at this year’s book festival contains high quality writing from people attached to much larger publishing conglomerates. These authors, such Don DeLillo, Joyce Carol Oates, James McBride and Linda Ronstadt are published by Scribner, Ecco/Harper Collins, Riverhead/Penguin and Simon & Schuster respectively. These are not independent publishers by any stretch of the imagination. And if we take this festival into context with Banned Books Week starting just the day afterward – a celebration of alternative visions judged by communities as too alternative to be accepted – we find a strange contradiction of terms. On one hand, we find a quieter education model of thinking designed to link the history of culture and oppression of ideas to other ideas discussed in American schools and libraries. The ALA, as a whole, is very supportive of the freedom to read. Banned Books Week is often used as an alternative teaching tool in public schools. In tandem, Barnes & Noble Booksellers often displays a Banned Books promotion table in honour the same week. In other words, corporate Barnes & Noble is playing both sides of this issue in the name of the dollar. And bless them for doing so. In addition, each of the authors featured is talented in his or her own right. There is no dearth of great writing in every genre at the book festival. I want to be clear, I am a big fan of many authors doing readings and signing this year. And each publisher featured has a roster of real artists in its ranks. There has to be a better way of unifying NATIONAL BOOK FEST with Banned Books Week. The reason for said position is the scale of ambition implied by the name of the festival itself. It’s called National Book Fest, not Recently Featured on New Release Shelves Fest. Unless that is the point. There is something to be said about using such a large event to promote newly published books each year from the same spot on the National Mall annually. It does not have to be an activist festival. But with a title like National Book Fest, I must admit I keep hoping for a more philosophically well-rounded festival agenda – similar to that of Library of Congress’ Center for the Book mentioned above. Banned Books Week on the other hand, a promotion of alternative reading and ideas, a celebration with a narrower focus offers a much more philosophical relationship to books, reading, education, literacy and libraries. Center for the Book HAS endorsed Banned Books Week because maybe their relationship to reading is more philosophically rounded than the Book Fest – which seems to be a festival steeped in the NOW. In my humble opinion, National Book Fest could embrace a slightly different rhetoric in order to realize the scope implied by its title. PS: I am starting a new #hashtag this year on Twitter to promote bicycling to the National Mall for the Festival: I am calling it #biketobookfest. I see this hashtag as one reusable from year to year. Promote it. Use it. Thank you. This entry was posted in ALA, Banned Books, Banned Books Week, bicycling, book arts, book promotion, librarianship, Library of Congress, literature and tagged #biketobookfest, banned books, books, literacy, National Book Fest, National Park Service. John Payne Collier (1789-1883)* was a 19th Century English literary scholar, Shakespeare expert and publisher. He was quite respected in his day. But over time, it came to light Collier forged some of the data he used to justify some literary “discoveries.” He is still respected, but he’s a controversial fellow within the domain of Shakespeare Studies. The Folger Shakespeare Library has a large collection of writings by and letters to & from John Payne Collier in its collection. The library has gradually been creating online finding aids, coded in EAD metadata standards, for subsets of Collier related items in its holdings. Presently, I have been writing a new finding aid, one that will eventually be found in its finding aid database, for letters written from the early 1830s toward his death 50 + years later. This finding aid creation is accomplished via Archivists Toolkit, a fantastically useful piece of software that works as an interface between content keyed into the finding aid (such as Scope and Content and other archival description data) and the XML file that is processed through style sheets to produce the way the finding aid is structured for the open web – the way it looks. The value of this process is that each finding aid does not need to be coded from scratch in XML. It can, however, be edited later in Oxygen XML Editor to change content or to link items such as objects found in Folger’s Luna Insight Digital Image database. The upshot is that my time interning on this project will result in publication of this latest collection finding aid – an action which will provide even better access to and promotion for Folger’s superb collections. * This link for Library of Congress’ Authority Records connects the portal because each search is only available in discrete search-sessions. This entry was posted in EAD, Folger Shakespeare Library, libraries, Library of Congress, metadata. I have a tendency to believe linguistic diversity is also a sign of knowledge diversity and am very frustrated with attempts to globalize knowledge into one vast pot. 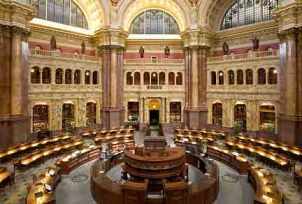 I point to the impact of global mass communication content and technologies, the lack of allowing the “other” to truly be and the impact of the World’s most widely used library classification system, Library of Congress Subject Headings. I am not taking a stance against The Library of Congress. I live in America and make use of their diverse resources regularly. Also, their main building is a work of architectural art. No, I question standardization of “knowledge” at the expense of diversity and questions. It seems to me that if we classify all the world’s knowledge under one system (which is not the mission statement of the Library of Congress), then we have declared globally what everything in the world is “about.” This action is accomplished by all kinds of groups around the world who write indexes to be LC compatible. But if those local knowledge resources and populations have to use another “aboutness” structure other than their own, have they not committed a kind of murder of their own knowledge system? Believe me, this is a bit scary. I am not sure that we can separate “knowledge” from “questions.” I note this point because it seems to me to state up-front what something is about has already annihilated many potential questions – and thus knowledge types. How can this tendency sit well with ongoing questioning? Somehow, I feel this happens because we are afraid of uncertainty. This is not an overshadowing fear in this context, but a fear nonetheless. Surely it is different for different people. But why should we be afraid of conflicting and disagreeable classifications in information organization? This entry was posted in knowledge organization, libraries, library, library classification, Library of Congress.